Paneer Doodh Poha, another version of Doodh-Poha. 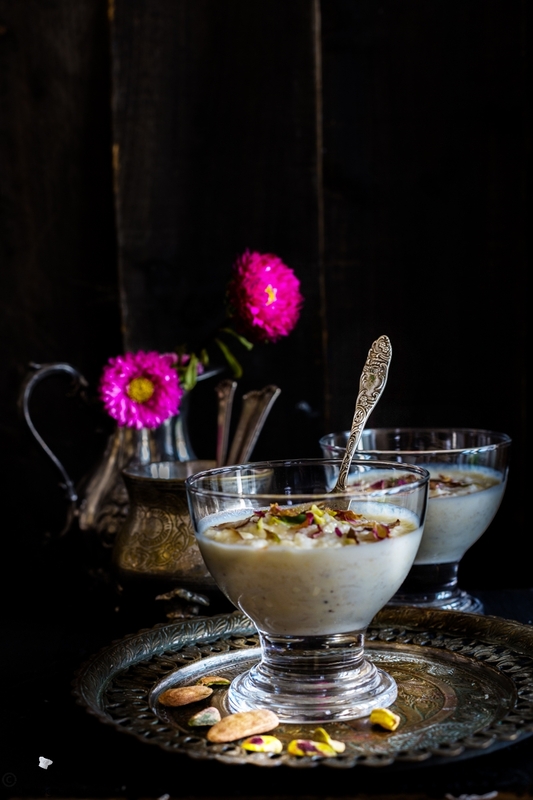 It is a delightful and rich dessert to serve on Sharad Poornima or Poonam. 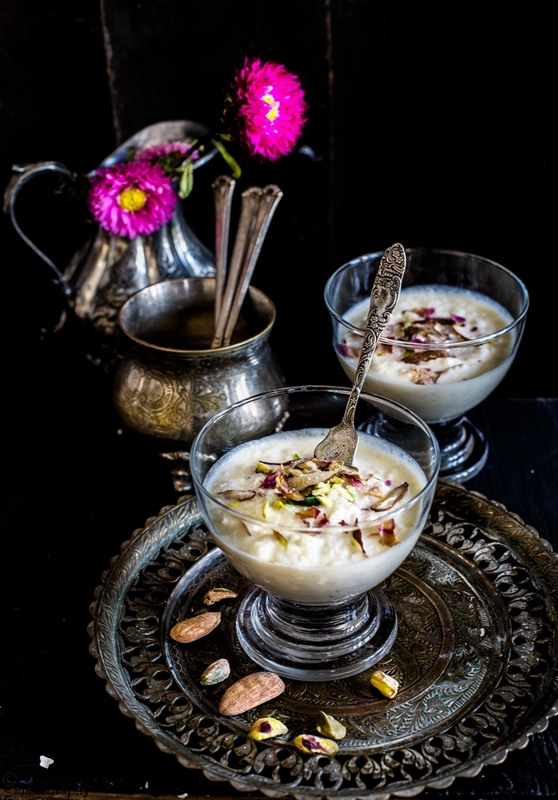 This easy to prepare dessert is made with Paneer, rice flakes, milk and sugar and adorned with slivers of nuts and edible rose petals. As dandiya performances pick up the momentum, DJ's gear up to create electrifying notes and Gujjus start shaking their legs. After all nine nights of Garba and Dandiya - Raas played along with blaring Gujarati soundtracks and continuing till the wee hours, surely not only give you immense joy while you play, but as an audience you can witness scintillating performance by the other garba players. But let me tell you, the fun come at a price, as we basked in the richness of festive culture and bring so many happy memories bring back home after nine nights energetic Navrati celebrations, the dark side of the vibrant festival seems to emerging, the whole body of mine is wracked, because did not get enough sleep, dark circles have formed around my eyes and basically I am low on energy. I still enjoy playing garba dispite the body pain. Maybe I am out of Gujarat, but Gujju in me still connected to my roots :) and still waiting this year's last chance to play Garba on Sharad Poonam or Poornima. Garba is our saviour, workout plus happiness, What a great combo ! Dressed in your best outfit, looking so glamorous, gracefully dancing to the Garba tunes, who wouldn't like this kind of workout :) Basically we are Garbaholicks !!! 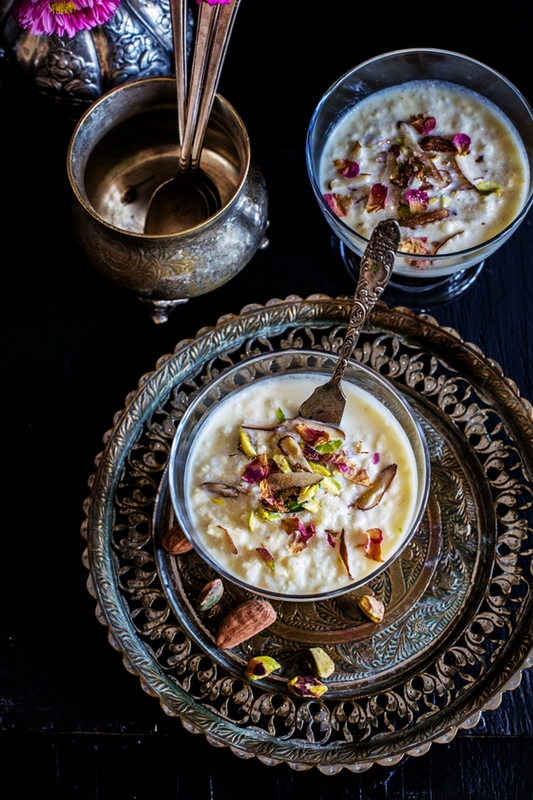 On Sharad Poornima we prepare Doodh Poha, but I can't help myself in tweaking an authentic recipe and prepared in the past coconut mango doodh poha , Doodh Poha with Nutella Panna Cotta and Caramel Coffee Jelly Frappuccino Doodh Poha. So you must be wondering anything new this time ? Yes . you guessed right, I have got another delicious and delightful Doodh Poha recipe on the blog for JCO readers, which is Paneer Doodh Poha ! So are you excited to see the recipe ? 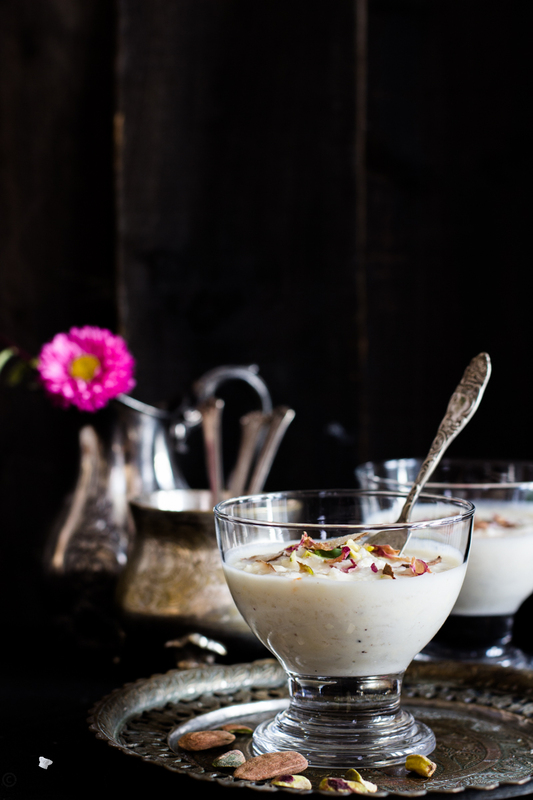 okay so without much ado let's get cracking, this easy to prepare and fantastic rich and creamy Paneer Doodh Poha. Wash poha and leave it aside. Combine milk and sugar in a heavy base pan or kadai. Mix well, and bring it to boil and keep stirring for 10-12 minutes. Once milk gets little thicker, add grated paneer and cook another 5-7 minutes. Then add soaked poha and cook another 3-4 minutes. Switch off the heat and add cardamom and nutmeg powder. Mix well, garnish it with finely chopped nuts and leave it to cool completely. Serve with Dakor Na Gota ,Kaju and date stuffed Bhajiya or three layere chutney aloo bread pakora .